May I suggest the Lobster ma'am? 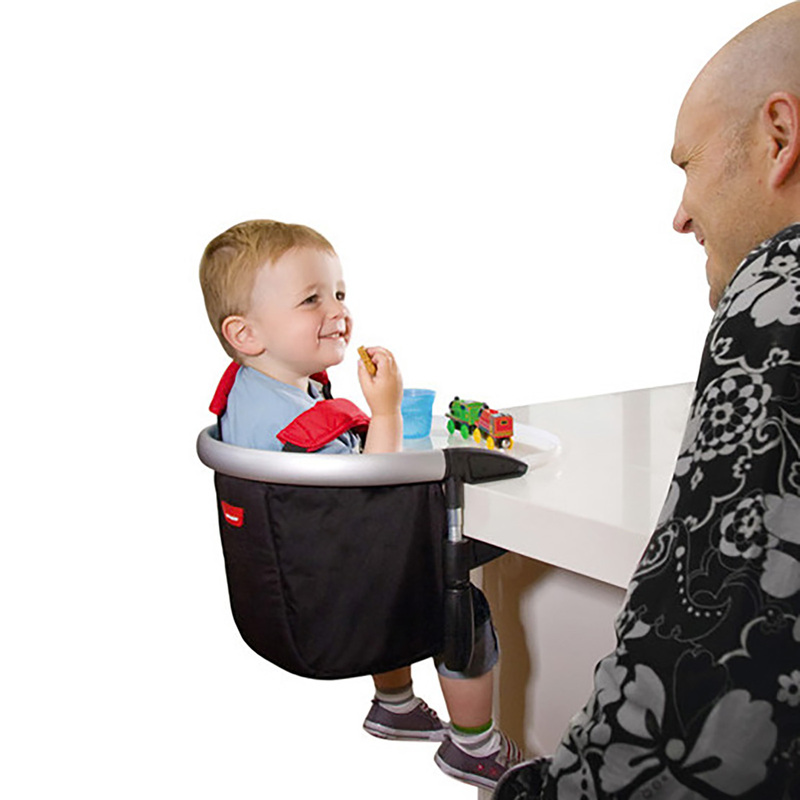 The award-winning Lobster from Phil & Teds is a lightweight and convenient highchair solution which secures onto almost any table, benchtop or worktop and provides baby with an ideal place to sit and ‘chow-down’ with the family. 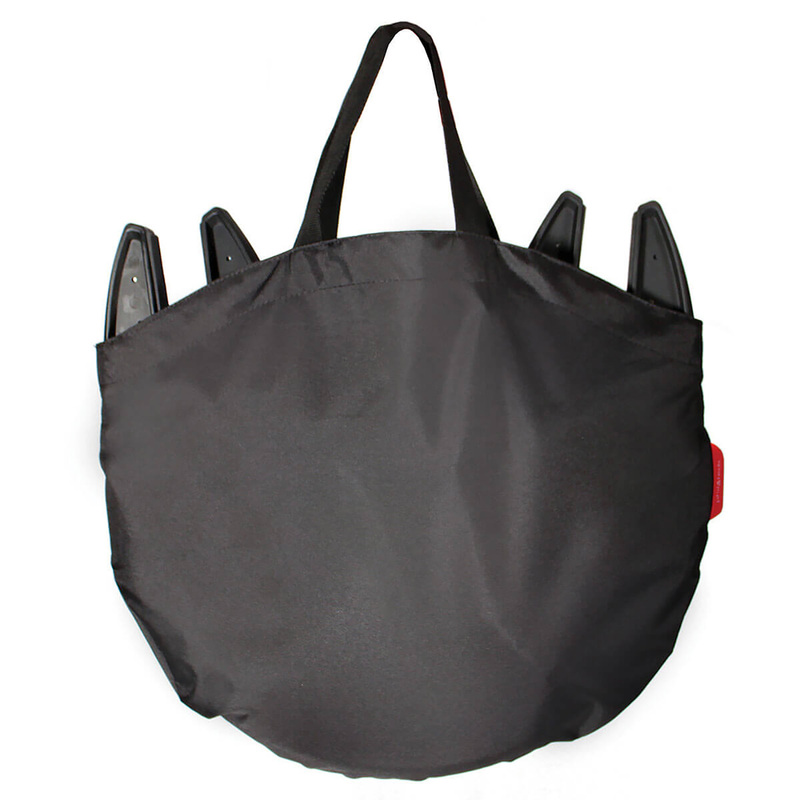 A fantastic space-saving innovation for home or equally as impressive for travel adventures, the Lobster eradicates the need to use those often grubby restaurant highchairs as it is super-easy to take with you wherever you go. 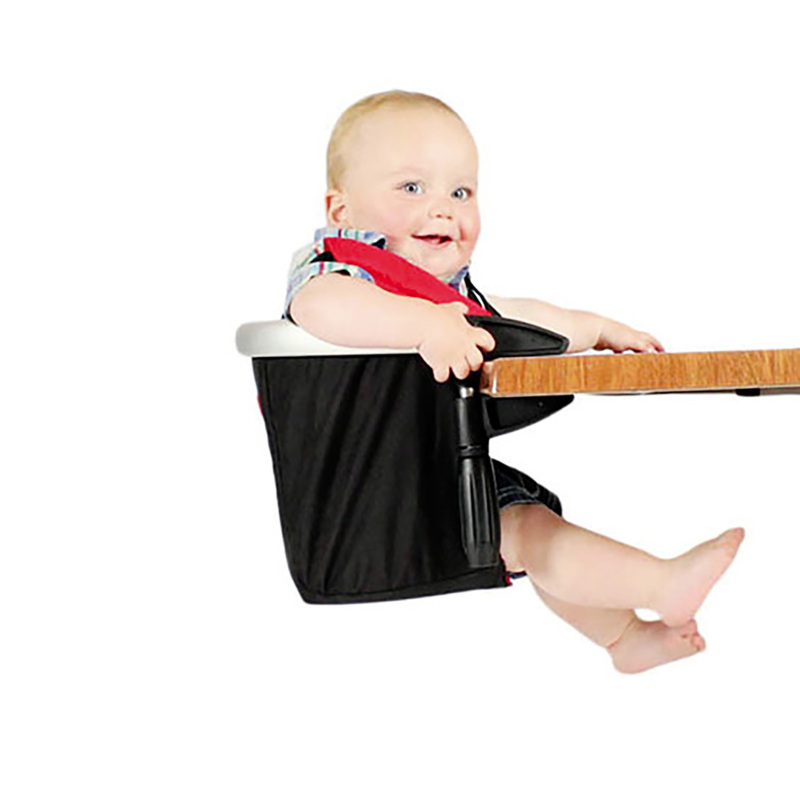 With its very own compact carry bag, it measures a easily manageable 35x34x8cm and features durable, wipe-clean fabric, a dishwasher safe food tray and a 4 point safety harness (with padded shoulder straps) to keep the most wriggliest of babies safe and secure in their chair. 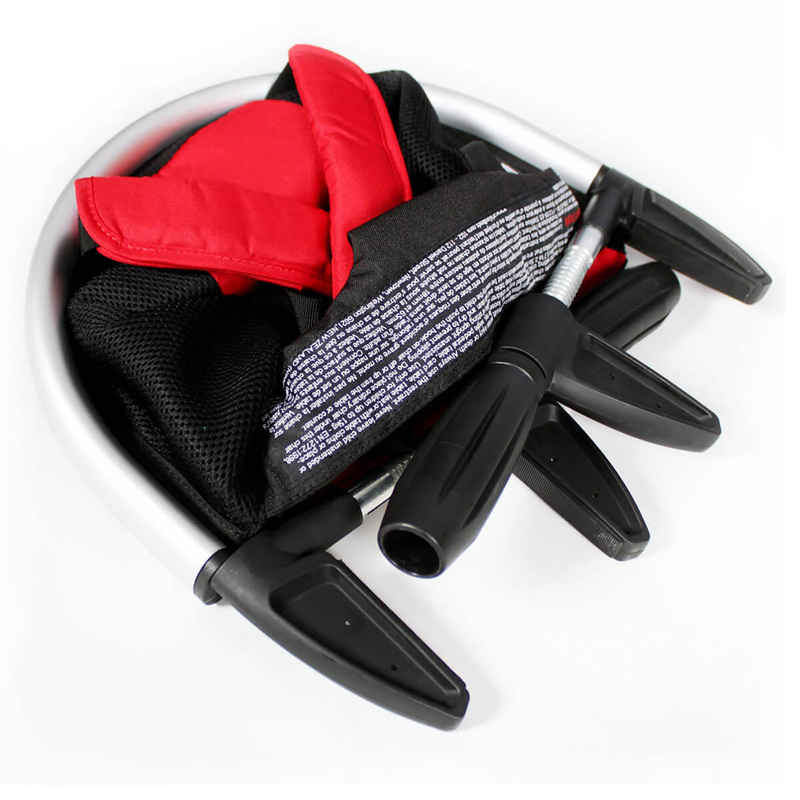 Super strong ‘lobster claws’ with rubber grips secure to the table using a ‘twist on-and-off’ clamp mechanism which is easy for adults, but not so easy for kids. The satin finish aluminium frame and robust, easy-care fabrics are not only strong and durable, but so stylish to boot, so you’ll be turning heads at every table you clip on to! 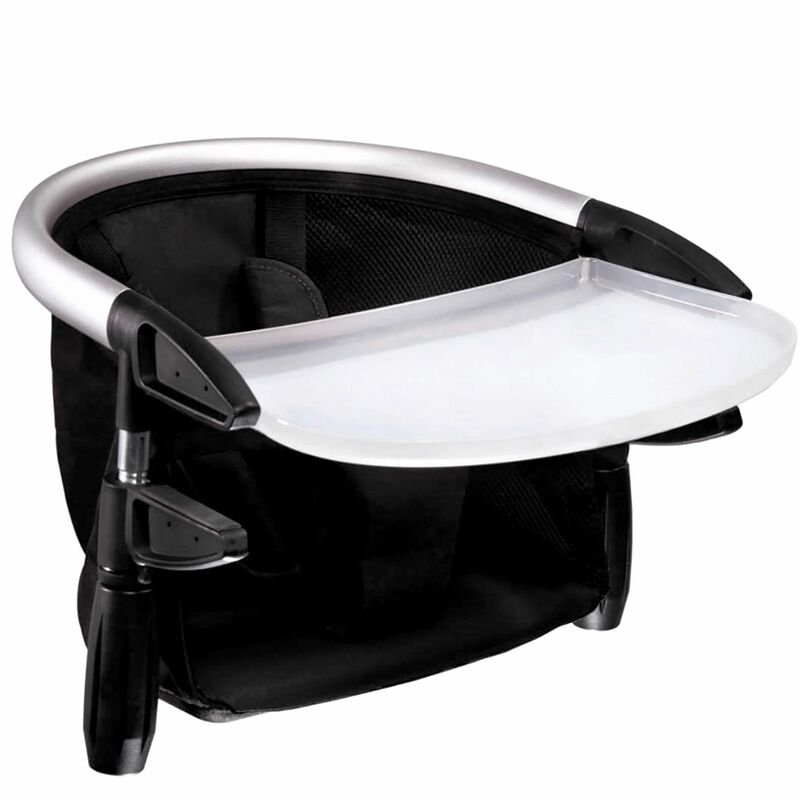 The deep, padded seat provides all the luxury and postural support your baby needs eat comfortably. Folded dimension in bag: 35 x 34 x 8cm / 13.7 x 13.4 x 3"